So, you have a blog! Congratulations. But everyone has a blog these days and you need to wow your audience right out of the gates. How do you do that? Well of course content is king (or Queen), but without the right images people are going to glaze over and hit the exit button real fast. What are the 5 most important blog visuals that you need? Read on to find out. Break us in gently. 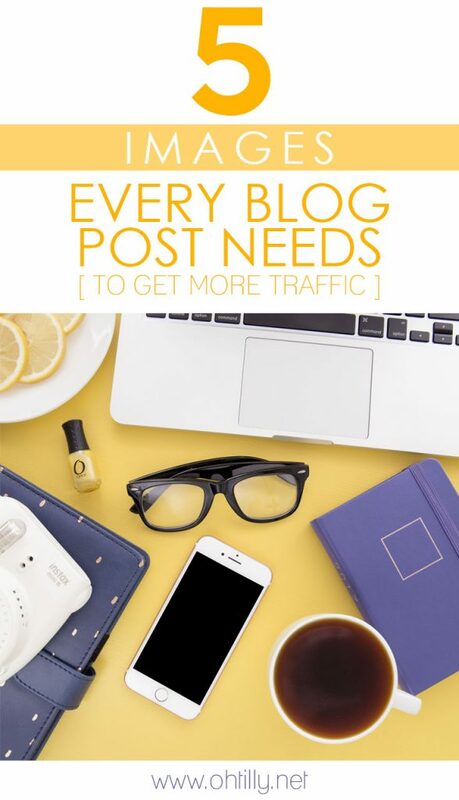 We don’t want to be hit with a wall of text the moment we land on your blog. 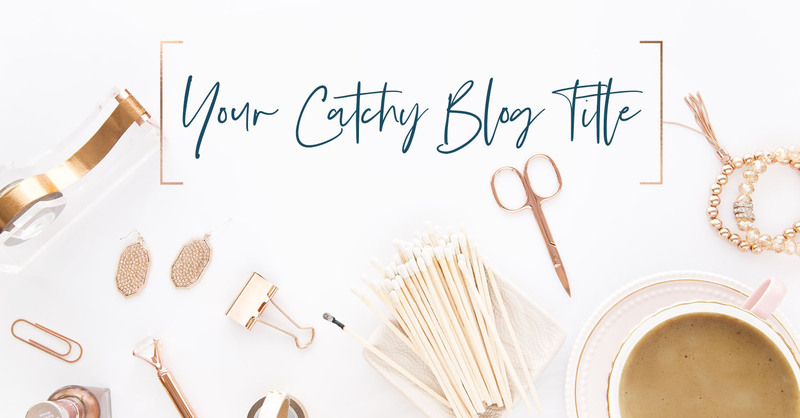 Butter us up with a beautiful title header that tells us what your blog post is about and delivers it in a beautiful way. Once again, don’t have a wall of text. No one likes that. Break down your text with images. Keep it to a paragraph or two, then a photo, then another paragraph or two. When you’re breaking up your text, make sure the images you pop in between demonstrate what you’re writing about. If it’s a how to, show us a sample. If you’re talking about travel, share an image of the destination. Perhaps you have a tutorial, show us in progress images that we can follow step-by-step. 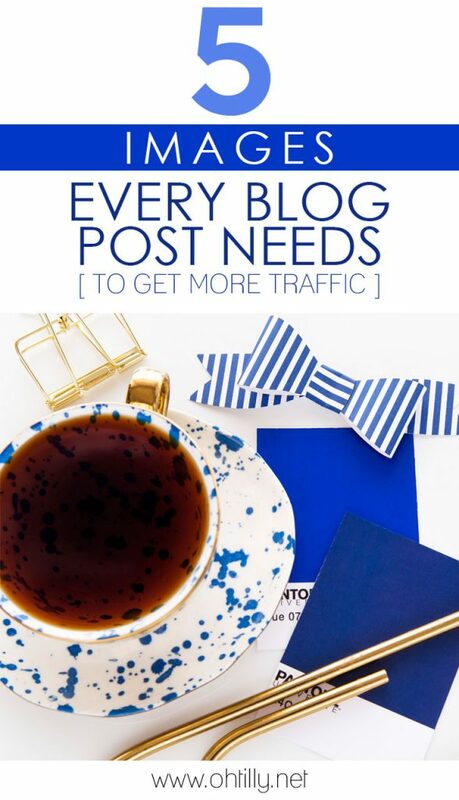 Actually, I include more than one pinterest graphic with most blog posts. It increases traffic and appeals to more. Every blog post needs at least one pinnable, long and tall (about 735×1200 is the size I stick to) and two are even better! Bonus Tip: These pinnable graphics can also double as an Instagram story too. 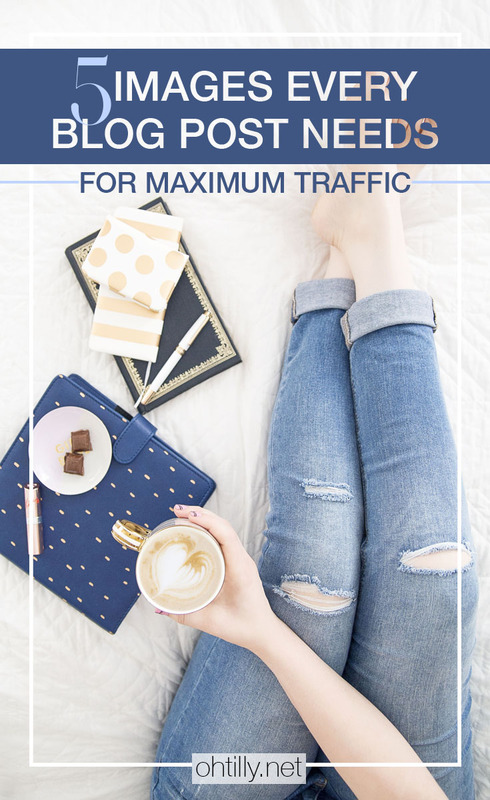 Promote your blog post with IG stories and get more followers and engagement there too. This is the visual generation. Sharing information in graphic form is the fastest way to get your message across. Even if it’s a collage of your blog images, showing samples of what you’re doing, or step-by-step images in collage – infographics are great for your blog and also something that will get major social media shares. 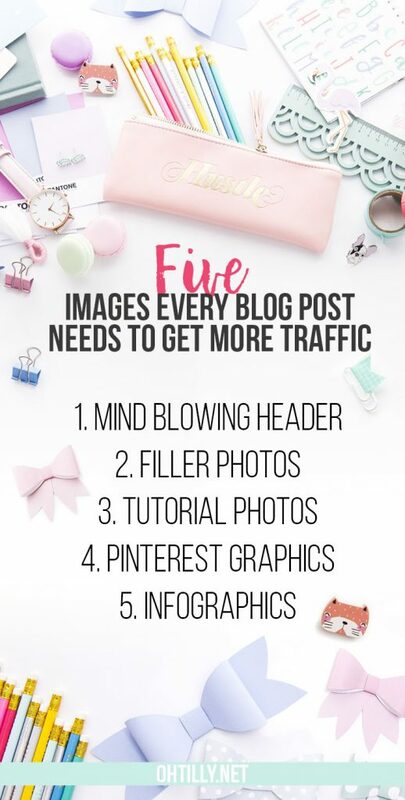 All of these images are shareable, wide headers share well on Facebook, Filler images (make sure they’re branded and watermarked properly) work for Facebook, Instagram, Twitter and Pinterest if they’re tall images. Your tutorial photos make great snippets on Facebook stories and Instagram stories, everyone loves a little behind the scenes action. Your Pinterest graphics double as IG and FB stories too. Infographics can be shared anywhere and have a high rate of reshares. 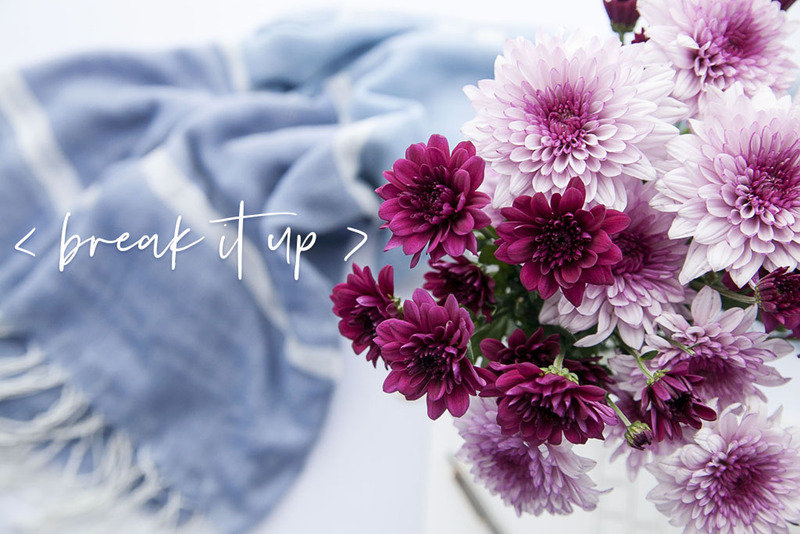 If these images have inspired you and you still don’t know where to get amazing styled stock photos, check out Oh Tilly’s 15 Free Styled Stock Photos and if that’s not enough, have a look at an Oh Tilly Styled Stock Membership today.